In wooden flooring, wood pieces are used which are high durable in nature. Since these flooring is a common one, they are available in different styles, cuts, colours etc. The types of styles offered in wooden flooring are with solid wood, engineered wood, sliced peel, dry solid sawn and rotary feel. 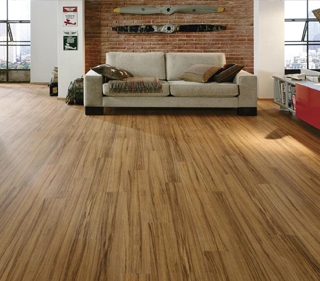 Wooden flooring is environment friendly, most liked by nature lover. This flooring is energy and cost efficient because there is no depreciation in wood and the product last longer. 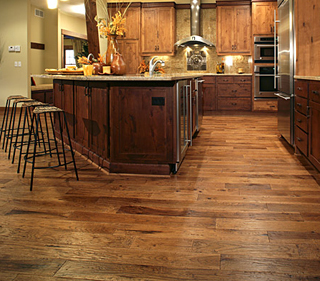 Wood is the easiest floor to clean, requiring far less chemicals. In this flooring the finishes can be repaired or reapplied (in case of any damages). The finishing touch of the wooden flooring is also done in different ways. These flooring are suitable for both private and public places.